Friends, welcome to the fifth edition of the Memorial Scrolls Trust Newsletter. We have now contacted all our scroll-holders requesting a completed Scroll-Tracker in order that we may make sure our records are correct and up to date. If you have not yet returned one to us, we would be grateful if you could deal with this as soon as possible. Our Czech Torah webpage project now has 222 reciprocal links that can be viewed at http://www.memorialscrollstrust.org/scroll-holders/. We still have a long way to reach our target of linking over 100 scroll-holders and hope those of you who have not yet created a page will soon do so. I hope you find our Newsletter interesting. If you have an article you would like published, please send it to us. In 1989 Temple Beth Shalom, in Santa Fe, New Mexico received Scroll Number 426, one of the 1500 plus Torahs saved and sent to Prague in 1942. The Mlada Boleslav Jewish community north of Prague, the congregation that used this Torah prior to WWII did not survive the war. The Torah scroll remained in Prague after the war, gathering dust, with no place to go until all the surviving Torahs were sent to England, where they were restored by the Memorial Scrolls Trust at Westminster Synagogue. On a hot summer evening in 2012, the skies opened up and a great rain descended on Santa Fe. Rainwater broke through the roof and the ceiling above the Bema and in a torrent, soaked our Holocaust Torah. The scroll was not destroyed but it was severely damaged. The lettering was compromised and faded and in some cases wiped out. Our Holocaust Torah was no longer kosher for services as a Torah Scroll. 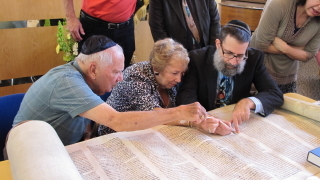 Rabbi Marvin Schwab, then TBS’ spiritual leader unrolled the entire scroll to help preserve it and shortly thereafter at great cost, had it professionally re-hydrated. Two years later, Rabbi Schwab obtained Board approval to restore our Holocaust Torah to its original kosher condition. TBS engaged renowned sofer, Rabbi Moshe Druin and his group of talented associates at Sofer on Site, an affiliate of the Memorial Scrolls Trust to repair our Holocaust Scroll and help guide TBS’ efforts in making the process a year long, congregational event and fundraiser. Congregational members were invited to assist Rabbi Druin in fulfilling the 613th Commandment, “Write this song for yourselves and teach it to the Children of Israel” which has been traditionally understood as a religious obligation for every Jewish person to write a Torah. A Torah is not complete if it is missing only one letter. Therefore, writing one letter is as if you have written a Torah, fulfilling this obligation. Our Holocaust Torah is now, once again, chanted each Saturday morning Shabbos service and fully unrolled at Simchat Torah. As Rabbi Schwab said to our TBS congregation, “We carry it with joy when we celebrate. We dance with the Torah as we complete and then immediately restart the reading cycle. We hold it close to our hearts when we become B’nai Mitzvah. We took the Torah with us into Exile and we carried it back with us as we returned to our ancient homeland. We can pay it no higher honor than to teach it to our children, to bequeath to them as a precious legacy. We make them the guardians of the Torah”. invited Jewish craftsmen, traders, and money-lenders to settle in the town. A compact settlement grew up on Jews' (now Havlickova) Street, the road from the town center to the Jewish cemetery, and the settlement had its own mayor, police, and other officials. The landowner sponsored the construction of a synagogue on this street, replacing a smaller synagogue that burned down in a town fire in 1623, and a rabbi was appointed to serve the needs of the community and the surrounding countryside. Hermanuv Mestec was also the seat of the region's mohel and shochet. 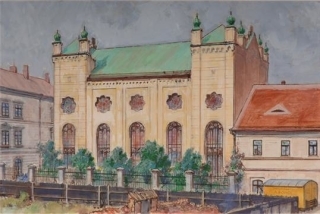 The ruling Habsburgs' introduction of restrictions on Jewish movement, residence, marriage, and family size in 1726 led to the synagogue being torn down (it was too close to the town's Catholic church), the abolition of Jewish self-government, and the enclosure of the settlement with gates, with the requirement that Jews return home by nightfall and stay at home on holidays. The landowner did what he could to soften these restrictions, including sponsoring the construction of a new synagogue in the Baroque style in 1760 closer to the community and cemetery. This synagogue was outgrown as the Jewish community reached its peak in the 19th century, and a new (some say remodeled) synagogue in stripped-down Neo-Romanesque style was built in 1870, again with the backing of the landowner. In 1848 the Habsburg empire's restrictions on Jews were lifted, and a steady outflow of Jews ensued to Prague, other large cities in the empire, and abroad. In 1891 the Habsburg government decreed the merger of the dying Jewish communities in the region surrounding Hermanuv Mestec, and this was confirmed after the Czechoslovak state was formed, when the net was enlarged to include more dying or defunct communities in the region. The Hermanuv Mestec Jewish community, by virtue of its long established protected status in the law and with a rabbi in residence, came to serve about 500 Jews in the region even though the community itself had only about 60 Jews (15 families) on the eve of the German takeover. The status of Hermanuv Mestec as a regional Jewish center accounts for the large number of Torahs attributed to it. 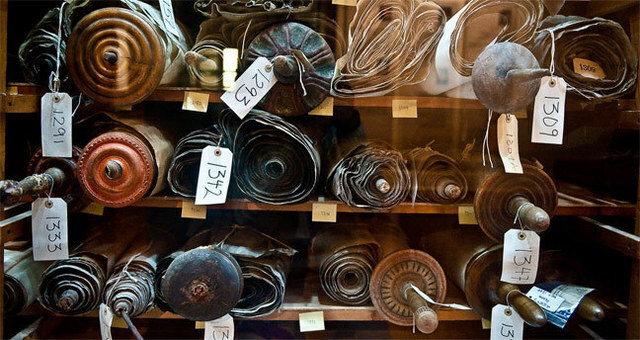 The Memorial Scrolls Trust lists more than a dozen of the 1564 Torahs in its inventory as coming from Hermanuv Mestec, and this does not include Torahs that were retained by the Czechoslovak government as having artistic or historic merit . Some were small family Torahs such as the one on display at Temple Concord in Binghamton, NY, while larger ones were deposited in the Hermanuv Mestec synagogue for safekeeping as communities in the region died out. Despite our best efforts, we cannot establish a pre-1941 history of our Torah, though it is old (most parts dating back 300 years, with some parts older). (age 27), and her granddaughter Jitka Papilova (age 3). 1942 and 1945 a few Jews married to Christians were left in Hermanuv Mestec, but they were deported one by one. Among those not deported were Hermina Maresova's three children from her second marriage, because, as children of a mixed marriage, they were not registered members of the Jewish community. One of the three was Ladislav Mares who became NVHC's good friend after we first met him in 1993 until his death in 2007. During the war Ladislav and his siblings lived quietly in Hermanuv Mestec and were able to run the family's small appliance retail and repair shop. The town chose not to make an issue of their continued presence there. As the war drew down, Hermina Maresova was shipped to Bergen-Belsen and managed to survive. At the end of the war, Ladislav and his older brother received a postcard informing them that their mother was alive. They borrowed a car and drove to Bergen-Belsen to bring their mother and one or two other survivors home. Once the Jews were gone, the despoiled synagogue, stripped of its Judaica--though not its ark--was turned into a German Army medical warehouse. The rabbi's house, which served as the synagogue except during the high holidays (on the eve of the war the community barely exceeded a minyan), became public housing. The cemetery, after more than 400 years one of the largest in Bohemia with more than 1,000 graves, was a matter of local pride. A local stone mason who had carved many of the recent gravestones, planted a row of evergreens along the outside wall in 1941 to screen it from the road and make it less obvious to the Germans. During the rest of the war the cemetery became overgrown with woody plants, and gravestones fell or were tipped over. Jews' houses along Havlickova street as part of a program of urban renewal. After the Communist regime fell in 1989, Ladislav Mares founded the Society of Friends of Jewish Culture in Hermanuv Mestec, This group took as its first task the restoration of the cemetery. Wild vegetation was cleared, gravestones set back up and inventoried, the surrounding walls repaired, and the Chevra Kadisha and caretaker's houses restored. Although the Prague Jewish community provided some expertise in deciphering the gravestones, all the physical labor was done by local Christians, including scouts. Ladislav then took it on himself to get support for restoring the synagogue and rabbi's house. It was at this point when we met him in 1993. He was making the rounds of the town hall, the regional government, the Prague Jewish community, and anyone else he could think of in search of funds. To help in his efforts, the Northern Virginia Hebrew Congregation (NVHC) launched a fund raising campaign during the High Holidays in 1993. NVHC was the only foreign source of funding for the restoration, and in gratitude Ladislav gave NVHC fragments of the synagogue's 19th century stained glass (now hanging in the lobby). taste for exoticism and abundant decoration. The only modification, aside from new plumbing and electric wring, was the extension of the bimah to make a proper stage for concerts, lectures, and dramatic performances. The rabbi's house was also restored as an art gallery and houses a collection of works by East Bohemian artists as well as a small exhibition on the Jewish community, the synagogue, and its restoration. The Holocaust scroll in the ark of the sanctuary of Temple Beth Shalom of Puerto Rico, has been part of the congregation since August, 1967, shortly after the synagogue itself came into existence. On the 72nd anniversary of Kristallnacht, seven years ago, we rededicated the scroll in a moving ceremony. It was appropriate to choose Kristallnacht for our dedication because the synagogue of the Jihlava Jewish community – with which we have linked ourselves – was set on fire that night and destroyed. As part of our observance, we presented to the congregation a monograph written by Naomi Patz entitled We Adopt as Our Own the Destroyed Jewish Community of Jihlava. Below are excerpts from that text (slightly edited and with citations omitted). The members of Temple Beth Shalom of San Juan, Puerto Rico are honored, privileged and humbled to have one of the Czech Torah scrolls saved from the Shoah. It is ours on long-term loan from the Memorial Scrolls Trust in London. As trustees of this Torah scroll, we link ourselves with the six million of our people who perished in the Holocaust. Through this precious tangible connection with one community that was destroyed, we personalize a tragedy which is otherwise incomprehensible – six million people murdered only because they were Jews! – and make it our own. By using this scroll, we make ourselves the spiritual heirs of the holy Jewish community that no longer exists in the city of Jihlava in the Czech Republic. Every time we open the ark and see this Torah scroll, every time we reach out to kiss it as it is carried through the sanctuary, every time it is opened and read we carry on their tradition as the heirs of a wonderful Jewish community that is no more. We are their heirs through our memories and our deeds, by how we act and by what we do. Many of the families of this congregation have passed through terrible times. Our faith must not falter despite the tragedies whose trauma continues to resonate in our hearts and minds. We must deny a victory of the spirit to the wicked. Instead, even as we have included the names of our beloved victims of the Shoah along with the names of the known victims from the city of Jihlava, let us continue to proclaim the possibility of goodness and affirm the potential for justice and mercy in every human being. Though our lives are comfortable, we should not delude ourselves into thinking that this is the way others live – here in our own country or elsewhere around the world. There is much work yet to be done: to feed the hungry, to clothe the naked, to bring justice and peace. We are called to perform these mitzvot, to be the bearers of light in a world that has been considerably darkened by human cruelty. The Torah – and this particular Torah scroll itself – both proclaim that message. They speak to the highest potential of the human heart. Let none of us forget that – ever. Neither the Nazi-controlled Museum of the Prague Ghetto nor the Communist-controlled State Jewish Museum ever displayed any of the 1,564 Torah scrolls that were brought to Prague from Jewish communities throughout Bohemia and Moravia during the war. They were stored – piled up and ignored – in the disused Michle Synagogue in a Prague suburb for more than 20 years. In 1963, the scrolls were purchased from the Czech government, which was eager for Western currency and transferred to London, where custodianship of the scrolls was given to a Memorial Scrolls Committee formed at the Westminster Synagogue. From the beginning, the intention of the Memorial Scrolls Trust was to make the scrolls available to congregations around the world. Each scroll bears a brass tablet with a number corresponding to the number on a certificate that describes the origin of that scroll and any of its known particulars. Our scroll is number 720. It is an “orphan” scroll. While 1,348 of the 1,564 scrolls that were received at the Westminster Synagogue came with a record of their provenance (the name of the exact synagogue or community from which they had been taken by the Nazis), 216 of the scrolls were “orphan” scrolls with no known connection to their past. Where the provenance of a Torah scroll is known, the congregation that has adopted that Torah can link itself to “their” martyred congregation. By learning about the people who belonged to that congregation – finding out as much as possible about their lives and their fate, and the fate of the synagogue building itself, as well as that of the congregation’s cemetery, the memory of that Jewish community will not be lost. The situation is different with the scrolls whose provenance is unknown. As with any adoption, congregations that are trustees of an “orphan” scroll have the privilege of choosing a community with which to identify, and the opportunity to choose one that is otherwise not being remembered. We have chosen to claim the Jewish community of Jihlava as our own. We are the first congregation anywhere in the world to do so, and one of the first 10 congregations around the world to link an “orphan” scroll to an otherwise-unremembered destroyed Jewish community. And the city of Jihlava itself? It is located in the center of the Czech Republic, astride the line that marks the frontier between the ancient “Czech Lands” of Bohemia and Moravia. Today, almost 50,000 people there. None are Jews. For many centuries, ethnic Germans constituted the vast majority of the population, and until the defeat of the Austro-Hungarian Empire in World War I and the establishment of an independent Czechoslovakia, the city was known primarily by its German name, Iglau. In the period between the two World Wars, Jihlava remained heavily German; it was regarded as a German-speaking “island,” a major, free-standing part of the ethnic German enclaves in Czechoslovakia’s northern, western and southwestern border areas known collectively as the Sudetenland. Jihlava/Iglau is an old, once-walled city. A Jewish presence there is mentioned as early as 1249. By 1345, a synagogue, school and cemetery had been established by the small Jewish community. Most of the Jewish residents were engaged in commercial activities: some were military purveyors, others were artisans, tailors or cloth and wool merchants. In 1424, the Jews were expelled from Iglau; several years later, they were allowed to return, but later they were expelled again. In the 17th and 18th centuries, Jews could enter the city as traders only during the daytime, through only one of the city’s gates and, at that, only upon payment of an entry tax. At night they had to sleep outside the city walls. 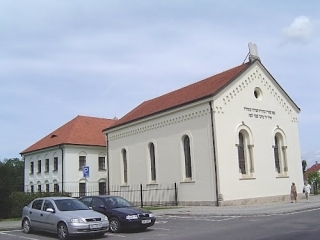 Records of tax payments, business dealings between the Jewish traders and the Christian residents of Iglau, and the various privileges extended to Jews over the years are preserved in the Jihlava Municipal Archives. The census of 1837 showed 17 Jews legally residing in the city (one-tenth of one percent of the population of 15,843), but many more lived there illegally. By 1848, there were 99 Jews listed on the town registers and, despite anti-Jewish riots in 1850, by 1863, after a period of rapid growth, the community built a large neo-Romanesque synagogue served by a full-time rabbi. At that point, the Jews of Jihlava/Iglau numbered 1,090, five percent of the city’s population. In the last half of the 19th century, Jews were full participants in the Industrial Revolution. Many of Jihlava/Iglau’s prominent textile manufacturers were Jews. Jews also ran a match factory and wood-processing factories. Jewish industrialists were also prominent in knitting and leather manufacture. The Jihlava synagogue was torched on Kristallnacht, the night of November 9-10, 1938. Nazi troops occupied the town on March 15, 1939. The community’s rabbi, Arnold Grünfeld, was arrested immediately and taken first to Dachau, then to Buchenwald and finally, in 1941, gassed in the “Institute of Euthanasia” near Dresden. From 1939 to 1942, those Jews who had been unable to escape were sent to concentration camps, most via Terezín and then to Auschwitz. The names of some fifteen hundred Jews from Jihlava who were deported and murdered have been painstakingly retrieved in recent years by the town’s retired archivist, who has made the preservation of the memory of the Jewish community of Jihlava a sacred task. A simple monument, erected in 1997, stands at the center of the Jewish cemetery in Jihlava. Its inscription is in Czech, English and Hebrew. As we learned more and more about Jihlava, we found a great many reasons to have selected it as “our” Jewish community, but what attracted us to the city in the beginning was the fact that it was the childhood home of Gustav Mahler. A famous conductor during his lifetime and one of the most important late romantic composers of classical music, Mahler lived in Jihlava until he was 15 years old and returned there often to visit his parents. Mahler came to the United States in 1908 to conduct the orchestra of the Metropolitan Opera, and returned to tour with the New York Philharmonic Orchestra for the 1909-1910 season, but his stay was cut short by illness. He died in Vienna on May 18, 1911. Mahler’s ten symphonies were not well-received during his lifetime or for decades after. Only in the 1950s, with the birth of long-playing records, did classical music lovers come to understand and embrace the majestic, deeply emotional and imaginative music Mahler created. He is regarded as an important forerunner of 20th century technique of composition and an acknowledged influence on Arnold Schonberg, Dmitri Shostakovich and Benjamin Britten. Max Breitenstein was born in 1855 in Iglau/Jihlava, attended the gymnasium there and then moved to Vienna where he went to university. Starting in his college years, he became an editor and publisher. Verlags-Buchhandlung, the small publishing company he founded became notorious in 1896 following the appearance of a slim book in the shop window of his firm. The book was Der Judenstaat. Versuch einer Modernen Lösung der Judenfrage (The Jewish State. A Modern Attempt to Resolve the Jewish Question), by Theodor Herzl. Hardly more than a pamphlet, this work aroused a storm of controversy almost without parallel in modern Jewish history. Immediately after the appearance of the first edition, of which 3,000 copies were printed, a vehement campaign was launched against Herzl and his publisher. Vitriolic attacks were launched on Herzl’s personal integrity, and the leaders of the Union of Austrian Jews and of the Vienna Jewish Community forced Breitenstein to publish National Judaism, by Chief Rabbi Moritz Gudemann, the first of many rebuttals and counterattacks against Herzl’s vision. Carl Meinhard was born in Iglau/Jihlava in 1875. 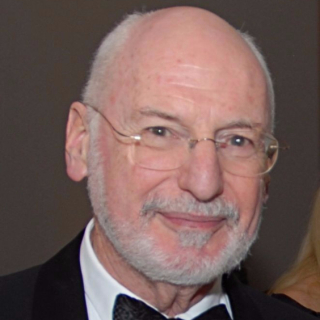 He devoted his professional career to theater and film as an actor, owner/manager, artistic director, grip, playwright and writer of film scripts. In 1922, one of his plays, a “fantastic melodrama,” ran for 66 performances in New York. Meinhard was transported to Terezín, where he became a leading figure in German theater life in the camp. Meinhard directed one of the most brilliant and controversial productions mounted there –Der Kaiser von Atlantis – “The Emperor from Atlantis” – which the SS overseers of the camp prohibited from being performed because, by a fluke, they happened to be passing by during the dress rehearsal. The opera would probably never have been performed in any case because most of the people involved in the opera's creation, including its composer, Viktor Ullmann, were among those transported to Auschwitz-Birkenau in October 1944. Ullmann died in the gas chambers there on October 16. Meinhard survived the camps and left Europe after the war for Argentina. He died in Buenos Aires in 1949. Ernest Sommer, born in 1888 in Iglau/Jihlava earned a doctorate in Vienna. He began his literary career during the years he worked as a lawyer. The rise of the Nazi Party in Germany informed and shaped his historical novels with thinly veiled criticism of the crimes committed by the National Socialists. In 1938, he fled to England. In 1942, he wrote “The Gaskammer” (“The Gas Chamber”), very likely the first treatment of the industrialized murder of Jews. His most famous novel, Revolte der Heiligen (“Revolt of the Saints”), first published in 1944 and then again in 1948 under the title Revolte der Wehrlosen (“Revolt of the Defenseless”), deals very directly with the mass murder of the Jews. As such, it is perhaps the earliest novel about the Holocaust. Sommer’s prescient understanding of the issues raised by the Holocaust is a truly remarkable achievement. The book is set in a Jewish work camp in occupied Poland on the eve of the genocide. The situation of the Jews in the work camp is seen in the context of the political conflict between those Nazis intent upon their extermination and those who argued that the Jews should be kept alive as long as their labor was of military and economic benefit to the German war effort. The uprising by the Jewish prisoners, which serves as the climax of the novel, allows Sommer to investigate the question of Jewish resistance and, in particular, the role played by the Jewish Council of Elders in the camp – aided by the long Jewish tradition of passive endurance to persecution – in impeding active resistance. The novel is regarded by critics as one of the highest achievements in German-exile literature. Perhaps the most fascinating of the world famous people from Iglau/Jihlava was Julius Tandler, who was born in 1869. He was (and still is) best known for his remarkable achievements in the field of government health services and public medicine. Both his adult life and his career were intrinsically bound up with Austria, and especially with the stormy politics and increasingly virulent anti-Semitism of Vienna. In 1910, he was appointed professor of anatomy at the University of Vienna. During the years of the First World War, he also served as dean of the medical faculty. During that time he wrote a four-volume text of systematic anatomy (published 1918-1924). In the new Austrian state, formed after the war, he became an Undersecretary of State for Public Health while retaining his position as head of the Anatomy Institute at the university. In 1920, his public health position was transferred to the City of Vienna where, under its Social Democratic leadership, he undertook major reforms to reduce poverty and disease among the poor in Vienna. As Vienna’s social welfare commissioner, Tandler saw to it that young mothers received free medical attention, parenting advice and free layettes. New day care centers, kindergartens, children’s dental clinics, playgrounds and wading pools were opened in working class neighborhoods. This was an unparalleled social welfare system that attracted international attention. Tandler and his associates on the city council provided about 64,000 cheap apartments in the decades between 1923 and 1933. These housing projects were called Volkswohnungpaläste (“people’s palaces”). His motto, “By building palaces for children you tear down prison walls,” is still a byword in Vienna’s youth welfare system. During those years, one out of four deaths in Vienna was attributed to tuberculosis. The situation was so bad that TB became known as the “Viennese malady.” Tandler developed programs to fight the spread of tuberculosis and to reduce the high degree of infant mortality in the city. Despite his social reforms – or, perhaps, in part because of them –Tandler’s institute became something of a focal point for student anti-Semitic demonstrations. It is cruelly ironic that despite his extraordinary accomplishments in the area of social welfare, he became an advocate for a policy whose first proponents had appeared in the United States in the first decades of the 20th century. In his pursuit of improving society, he called repeatedly for the legalization of euthanasia and for the destruction or sterilization of “life unworthy of life.” His advocacy of eugenics may well have helped prepare the theoretical foundation for the racially-based mass murders perpetrated by the Nazis to eliminate “life unworthy of life” and to “purify” humanity. He died in 1936 in Moscow, where he was consulting on hospital reforms. After the Second World War, the Austrian government honored Julius Tandler by naming a square in Vienna in his memory, and on the 50th anniversary of his death it issued a postage stamp to honor his achievements. There is a Tandler plaque in Jihlava. Siegmund Werner, a lifelong resident of Jihlava and an early and passionate Zionist, represented the Jews of Jihlava at every major Zionist gathering including the First Zionist Congress in Basel in 1897. He was involved in the development of Zionist organizational work in Czechoslovakia from its inception and was one of the 14 members of the initial Zionist Central Committee, an ad hoc group created to implement Zionist activities there. Werner served under Theodor Herzl as editor of Die Welt, the Zionist Organization’s weekly newsletter, and was at Herzl’s deathbed in 1904. Werner died in 1928 and is buried in the Jewish cemetery in Jihlava. How many other Jews sons and daughters of this city might have made lasting contributions to society if they – and all the others like them throughout Europe – had not been murdered during the Holocaust? We, the members of Temple Beth Shalom of Puerto Rico, have made ourselves the spiritual heirs of the Jewish community of Jihlava and the Torah scroll we honor and cherish in their memory. We read the names of six Jewish residents of Jihlava every erev Shabbat and Shabbat morning in our kaddish list and include all of their names in our Yom Kippur Book of Memory. In adopting this Holocaust Torah, we have undertaken a solemn obligation to embrace and celebrate our Jewish heritage – to secure its memory and to ensure our future. We must teach Torah – the Jewish holidays, history and heritage – to our children and to theirs, so that no one will forget. One of the songs in Mahler’s Kindertotenlieder (“Songs on the Death of Children”) says: “In this weather, in the windy storm/I would never have sent the children out/ They have been carried off./ I wasn’t able to warn them….” His eerily prophetic song and the story of Jihlava, symbolized by our scroll, are a warning to us: Remember. Be alert. Life is precious. Don’t take it for granted. Defend freedom. Have faith in the future. Remember.